March 14th. My grandfather’s birthday. My niece’s birthday. 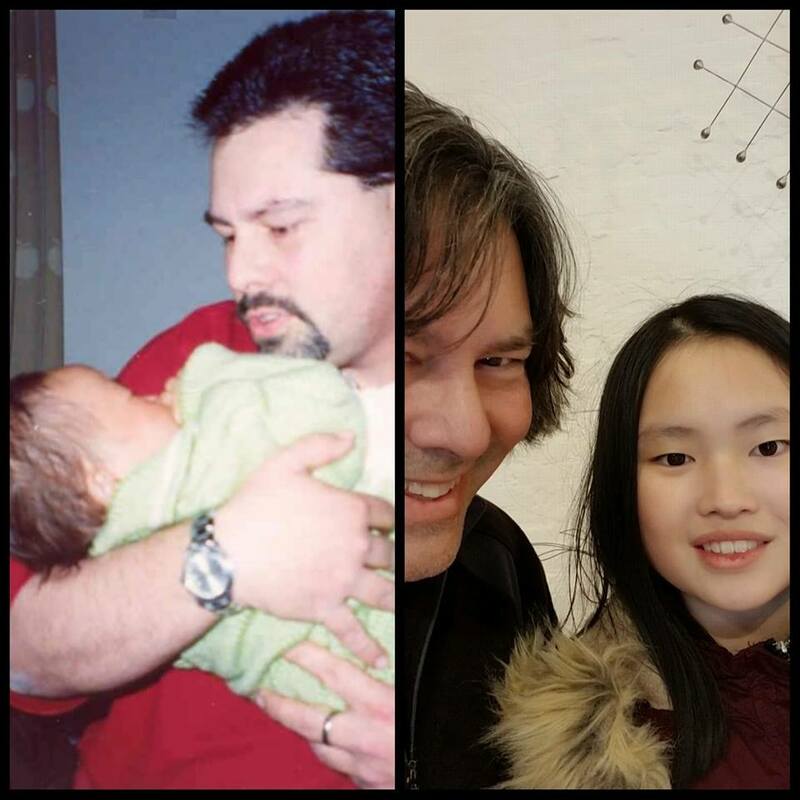 But the biggest event on this date for me is the day that I became a father for the first time (of two), fifteen years ago. This is yet another milestone I am surprised, and happy to have reached. 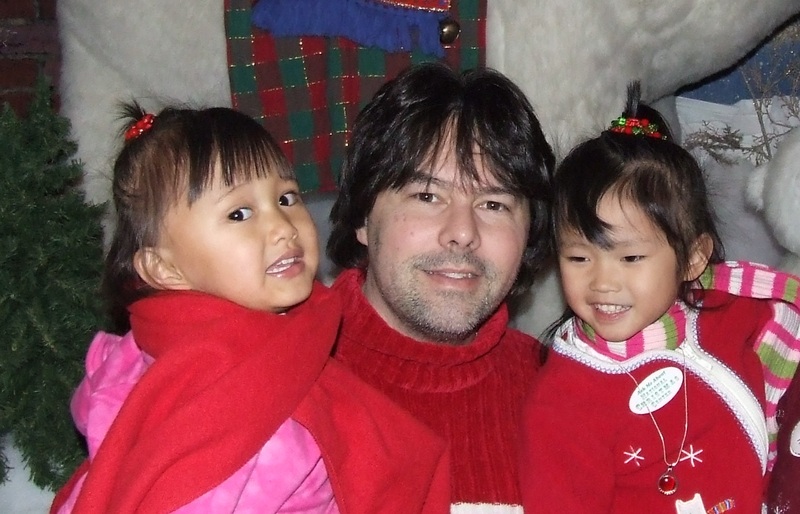 As a result of treatments for Hodgkin’s Lymphoma, I was not able to have biological children. And after some scientific assistance, efforts still came up empty. 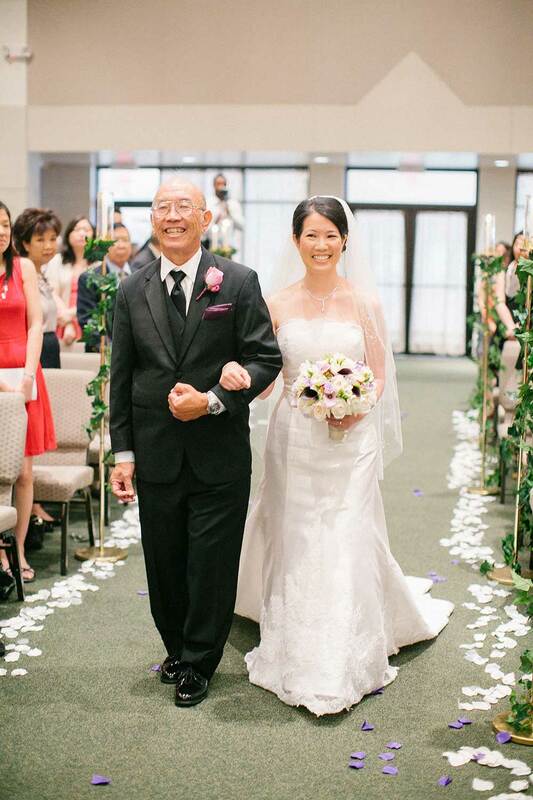 And then something happened, the country of China, made possible what I was not able to do here in my country of the United States, they gave me the chance to be a Dad. 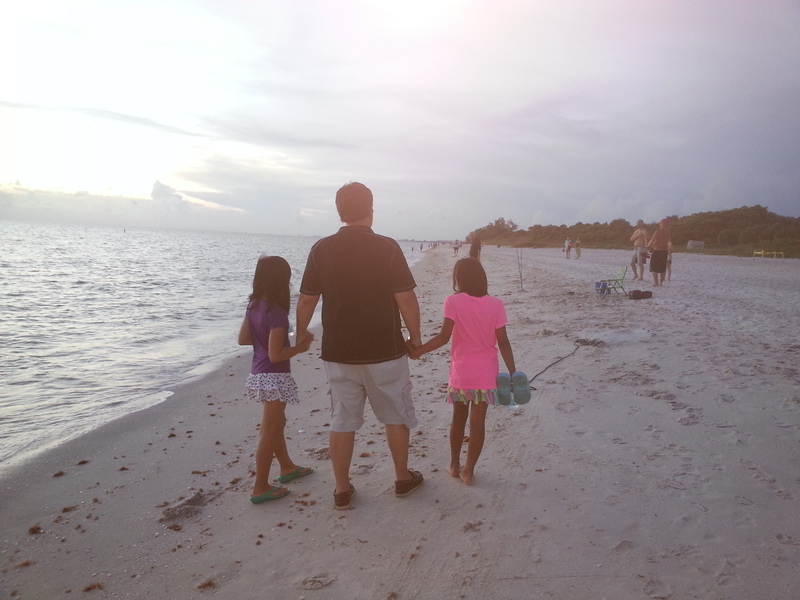 Of all things that I have done and experienced in my life, there is nothing more important to me, than being a father. 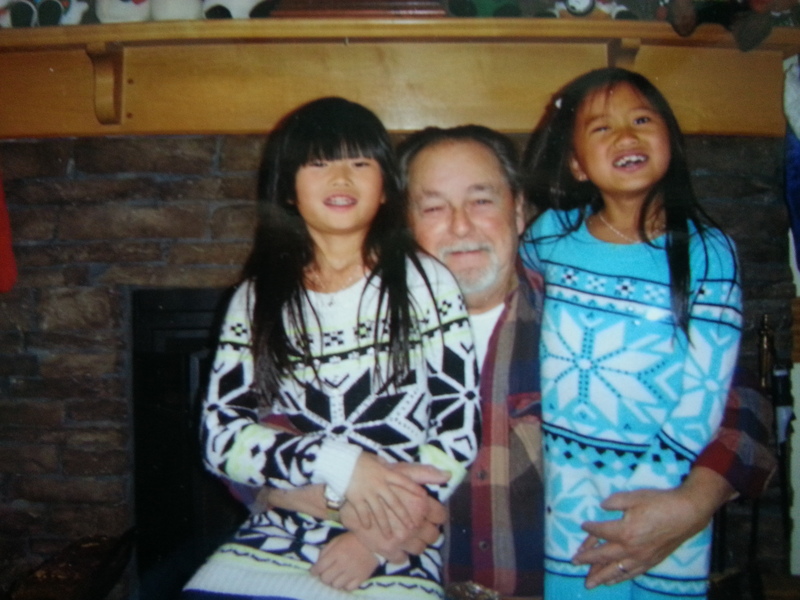 I am blessed with two wonderful daughters who give me meaning every day. Our family situation is not ideal, nor is the fact that I have so many health issues to deal with. But that has never stopped me loving them, wanting to be there for them, and being proud of them as they become the young adults that they are. Times have changed from teaching them to play and read, to teaching them about the importance of choices, and consequences and rewards of those choices. I have gone from doing what I can to protect them from scrapes and bruises, to now preparing them for the potential career directions that they want to take. Fifteen years have gone by, way too fast. 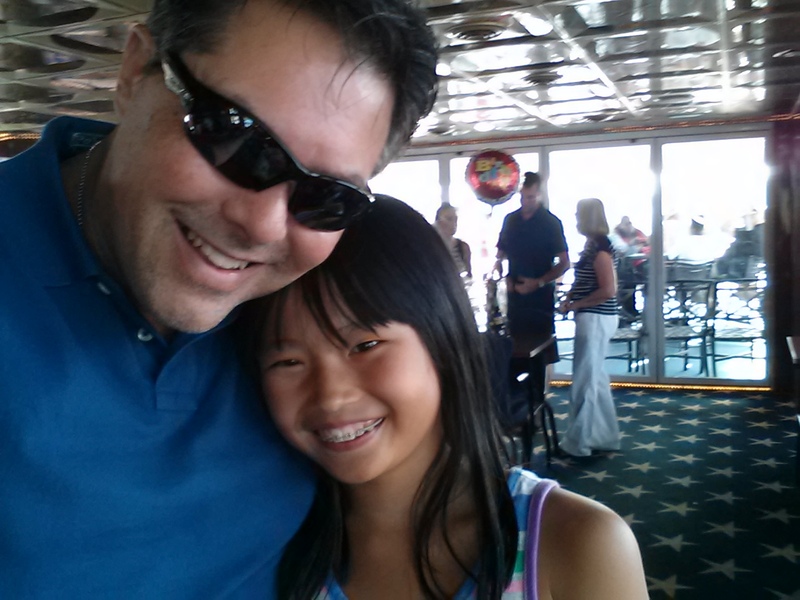 As I look back through all the photos (I do that a lot), I still see the little girl that was placed in my arms. I still hear the distinctive giggle that has not changed. She is as determined to do things, her way, as ever. She has a bright future ahead of her. I want her to have more opportunities than I had. I would like her to have a better start to adulthood than I did. Fifteen years is nothing compared to the milestones that are ahead for us, and I look forward to each and every one of them. 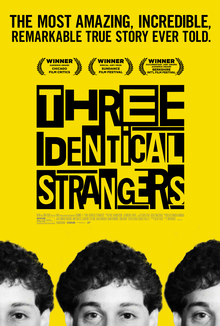 A recent broadcast of the movie called, “Three Identical Strangers,” clicked a memory going back to my college days and psychology courses that I took, the argument over “nature versus nurture.” In the movie, and I will do my best not to spoil the movie if you have not seen it, is the story about three adult men (all with different last names), born as triplets, but separated at birth and placed for adoption. The story, almost too unbelievable to be true, one of the men discovers by accident that he has an identical brother, and then soon after that, the third brother is discovered. 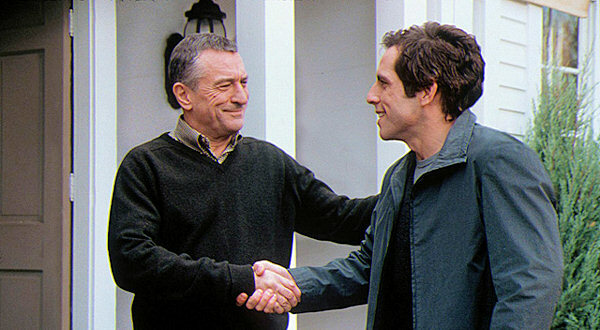 The cruel part of this story, is that the separation was a coordinated effort between an adoption agency, and a scientist interested in the study of the theory of “nature versus nurture.” You will have to watch the movie for yourself to judge the morality of what was done, and to empathize with the many issues that arose for the men, before, during, and after the revelation of their separation and reunion. But clearly, there are arguments for nature, as well as for nurture. As a parent of adopted children myself, neither are biologically connected, I learned early on, the importance of nurture, and balancing the effects of nature. 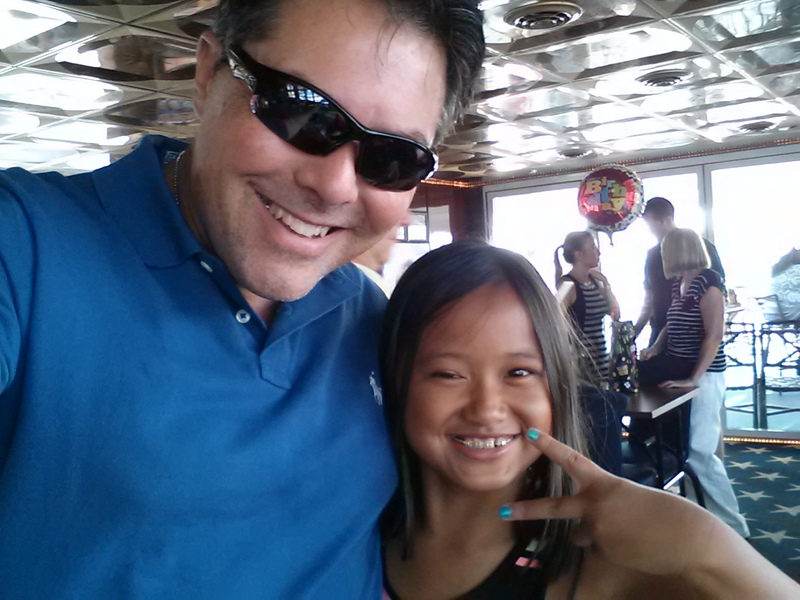 Relatives would often make comments about behavior concerning my daughters as far as “what they should be doing by a certain age.” While I am not one to put a whole lot of value into charts and statistics, my defense of what others expected of my daughters was simple. Unlike biological children, I was not able to talk or read to them through their mothers’ bellies. And an important amount of time passed from when they were born until they were placed in my arms. Nurture was going to play as important a role as nature. Clearly in my eyes, I was not worried about any developmental issues. Confirming my theory on nurture for my daughters, it was discovered that one of my daughters was actually fostered with another girl, actually sharing a crib. 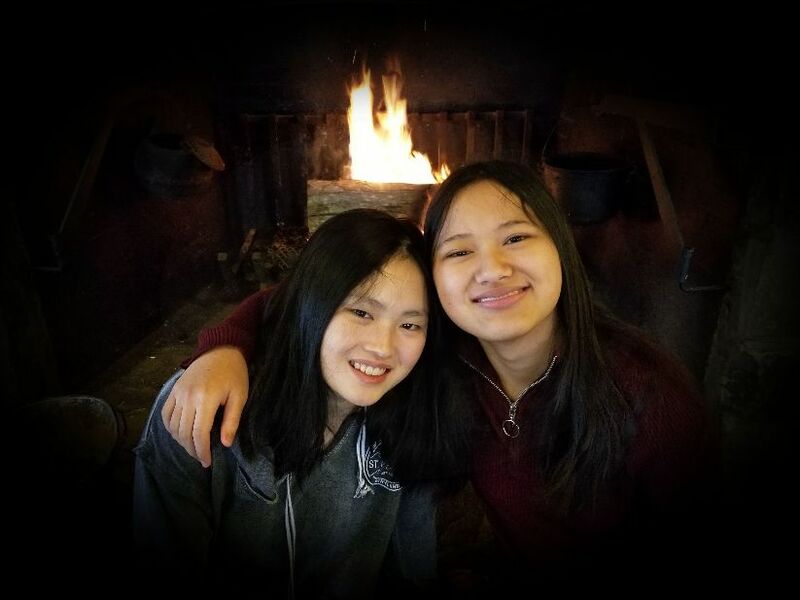 Though this girl currently lives in another country, our daughters share many similarities that can only lead me to believe, that their foster mother had some sort of nurture impact on these two children who shared only crib space, no physiological similarities. The effects of raising my daughters together became obvious, two loving daughters who enjoy each others company. Both have been raised to respect, be honest, loving, and many more of the values that a parent hopes for their children to have. This is all a part of the nurturing process. I am not sure how much it happens anymore today, but back when I was in school, there were many times I faced teachers who actually taught my parents. Upon name recognition, it would get pointed out to me that I either had a lot to live up to with expectations, or perhaps the bar had been set low, so no expectations were necessary. Television sitcoms at the time often pitted siblings against each other in similar settings, with comparisons being made between the siblings in schools. 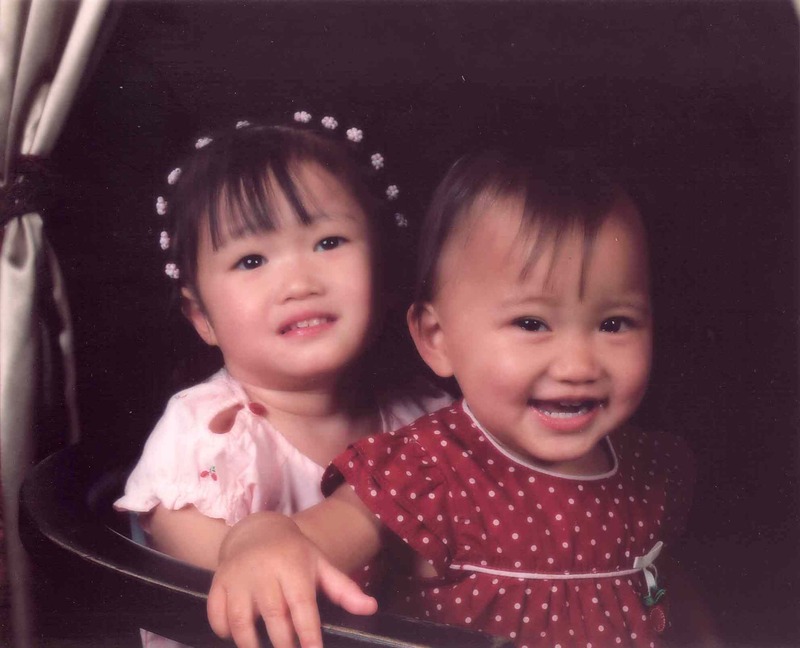 Though comments were often made about how my daughters resemble each other, at one point assuming they were twins because when they were younger, they were often dressed similarly, there was no mistake they are each their own persons. Today, they still share the same values they were taught, but they also demonstrate their own unique qualities about themselves. But it is unfortunate however, when people still feel the need to compare the two, as if nature has decided how either should be treated based on the actions of the other, whether it be by a teacher or a family member. Even if they were born of the same mother, which they are not, they are both individuals with similar values, but different dreams, different characteristics, different talents. Nurture has played an important role in my daughters lives. But the nature part of their lives do exist. We may never know their biological parents, but we can definitely see the role that nature plays in their lives. More noticeable is the role of nurture. It is amazing really. Looking at photos when I held them as babies, having no idea what was ahead of them in life, to now, they are deciding what direction they want to take in life as far a future careers. Both have strong talents together, and independent of each other. One is good at something while the other is good at another. This much is true. It is the encouragement and the support that matters most when raising a child. I really do wish that comparisons were not made between them, because while similar, they are also different. And they are the best children any father could hope for. I will stand by them, protect them, encourage them, and support them in all that they dream to aspire to. After all, is that not what a parent should want for their children, to have a better start to life, a better life, better prepared than what we had. And that is where the comparison should end, not between the two children. I could not be more proud of the efforts of both my daughters. I cannot see what else is in store for them in their future. And God willing, I will have that chance to witness it. Oh, and the reference of the title, yes, I know the expression is “comparing apples to oranges.” While one of my daughters enjoys apples, the other just loves making “potato” references. Like I said, there is no comparison between the two of them, other than I love them both so much.